The Khmer Rouge, under the command of Pol Pot, came into power in 1975, after a violent battle. The cities were cleared/evacuated, people were foreced to move to the country and a lot of people (monks, teachers, doctors, officials, soldiers, ...) were executed. The Khmer Rouge was driven out of Phnom Penh by the Vietnamese in 1979. Tuol Sleng was originally a school, but the Khmer Rouge used it as a prison and as a torture chamber. 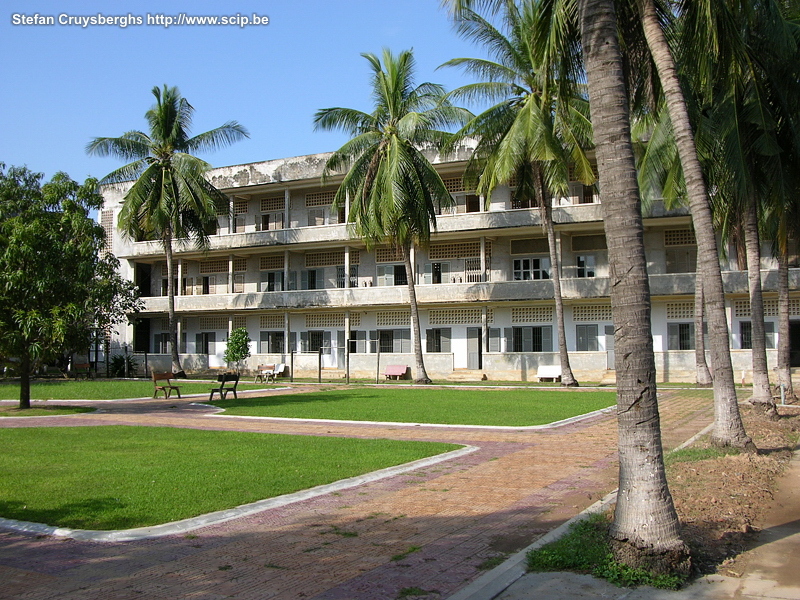 Now Tuol Sleng is a museum to the atrocities carried out by the Khmer Rouge regime.